Though Apple apparently wants to place a cellular radio in a future Apple Watch model, technical limitations may prevent the capability from appearing in this year's expected update, a new report claims. Citing talks with mobile carriers in the U.S. and Europe, Bloomberg reported on Thursday that executives from Apple conceded that a new Apple Watch with cellular data "may not be ready for release this year." Officials from the company reportedly said that the earliest timeframe for the launch of such a product would be December. As such, it's believed that the feature could be delayed to a future model, perhaps arriving in 2017. The main culprit apparently keeping cellular data from the Apple Watch: battery life. To combat the issue, Apple is alleged to be "studying low-power cellular data chips for future smartwatch generations," the report said. The details reaffirm claims made earlier this month by well-connected analyst Ming-Chi Kuo, who said that Apple plans to launch a second-generation Apple Watch later this year with GPS and barometer. 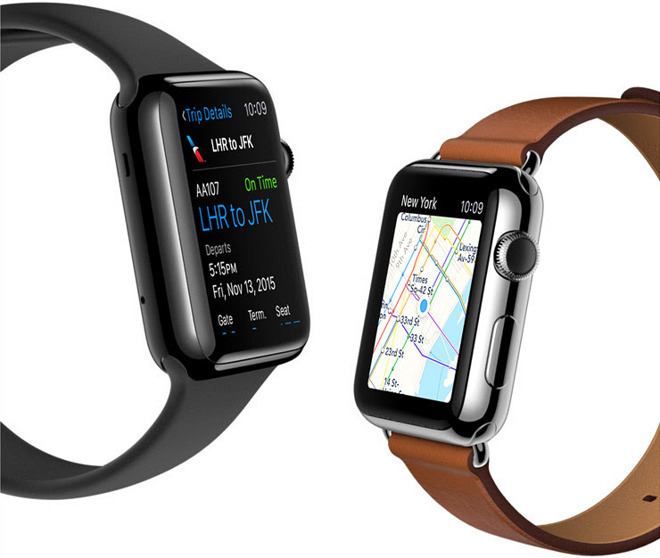 Kuo said he expects LTE support to arrive in a 2017 revision of the Apple Watch. Dedicated GPS would help make the Apple Watch a more standalone device, negating the need for a tethered iPhone for accurate location data. Combined with the limited onboard storage of the Apple Watch, the addition of GPS could allow runners, cyclists and other fitness enthusiasts to have more accurate information, such as pace and distance, without the need to carry an iPhone during a workout. Apple is expected to hold a media event in a matter of weeks, on Sept. 7, to unveil its next-generation "iPhone 7." It's likely that the company could also unveil a second-generation Apple Watch at the same event.